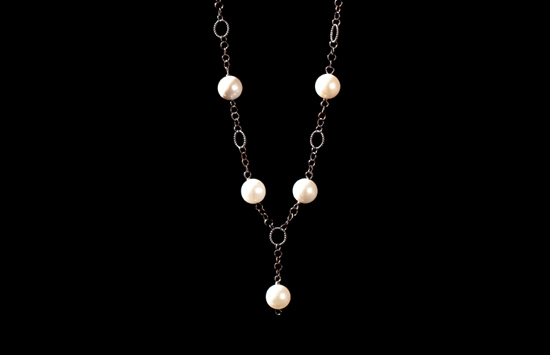 A selection of silver necklaces and pendants with beautiful pearls on specially selected chains. Necklaces can be made to the length and finish you want, either oxidized dark silver or the more traditional bright polish. 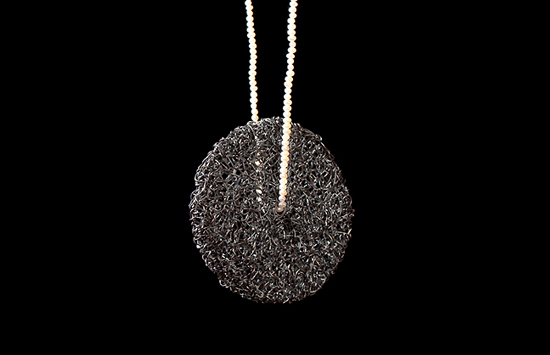 Hollow disk pendant of oxidized silver wire with white seed pearl necklace. 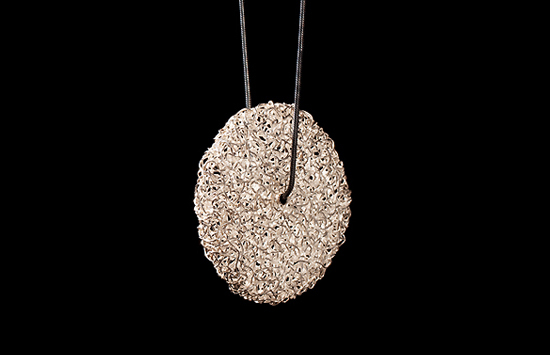 Polished silver wire disc pendant with a sleek oxidised snake chain.